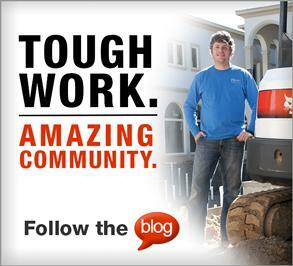 Education is an important first step to keeping your employees safe and your machines intact. Train your operators with these six steps for proper operation and maintenance of compact equipment. The Operation & Maintenance Manual is an operator’s best friend. The manual is your primary guide for compact equipment, so it’s a good starting point for training. Review additional safety and instructional decals on the machines, which are strategically placed inside and out for quick reference. If you’ve misplaced your manual, contact your dealer or order a new copy online. Your dealer can also replace any worn, damaged or missing decals. People learn in different ways. Some prefer videos. Others want in-person training. For best results, provide training and resources in multiple formats to match a variety of learning styles – in-person, print, video, visual or text. 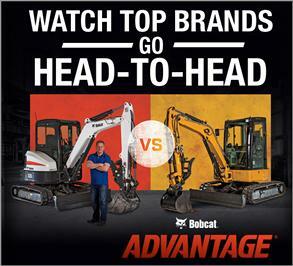 Bobcat Company offers operator training course kits that use video, classroom exercises and hands-on instruction. 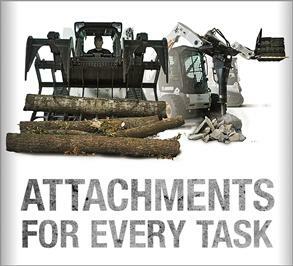 The Association of Equipment Manufacturers also offers resources for proper operating practices. 2. Create a culture of safety. Other guidelines include wearing a seat belt, using the grab handles and steps when entering and exiting equipment and wearing tight-fitting clothing that cannot get caught on the machine. Before work begins, allow your operators to get a feel for the work area. Point out potential dangers such as utility lines, narrow roadways, sharp curves and soft ground conditions. Call 811 to have a trained professional on site to clearly mark underground utilities. Set up barrier tape, traffic cones or gates to keep other individuals and equipment out of the work area. These precautions alert everyone to the work and hazards on the site. 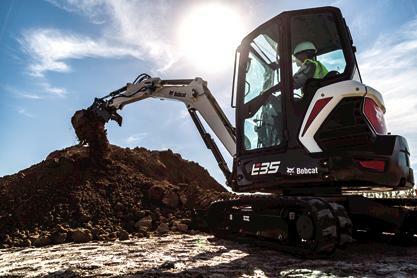 Operators can work comfortably and safely after getting a lay of the land. 4. Demonstrate a daily visual check. 5. Show them safe starting practices. Once your operator knows the ropes, they’re ready to enter the cab. They’ll be chomping at the bit to run the machine, but there are some critical final steps before they can get started. Show them to their new “office” and the proper procedures to start up. ●Inspect the seat. Make sure the seat belt and buckle work properly and show no wear. Adjust the seat for comfort and safe operation of the controls. ●Command the controls. Get familiar with the warning devices, gauges and operating controls. ●Put it in neutral. Make sure all controls are in neutral. 6. Provide the tools for routine maintenance. ●Use wheel chocks, if necessary, to keep the machine from moving during service. ●Use parts and service techniques recommended by the manufacturer. ●Attach a “Do Not Operate” tag or similar warning tags to the starter switch or steering wheel before maintenance. ●Remove the key from the machine. ●Install all appropriate lock devices or support devices, such as lift arm supports and cab supports. ●Do not operate the engine in a closed area. These steps will get your green operators up to speed so they don’t endanger themselves or others. But training is never over. Even as manufacturers add new features, worksite safety is the responsibility of the people on the job. Keep resources on hand, stay on top of new regulations and provide refresher courses to maintain a safety-minded crew.